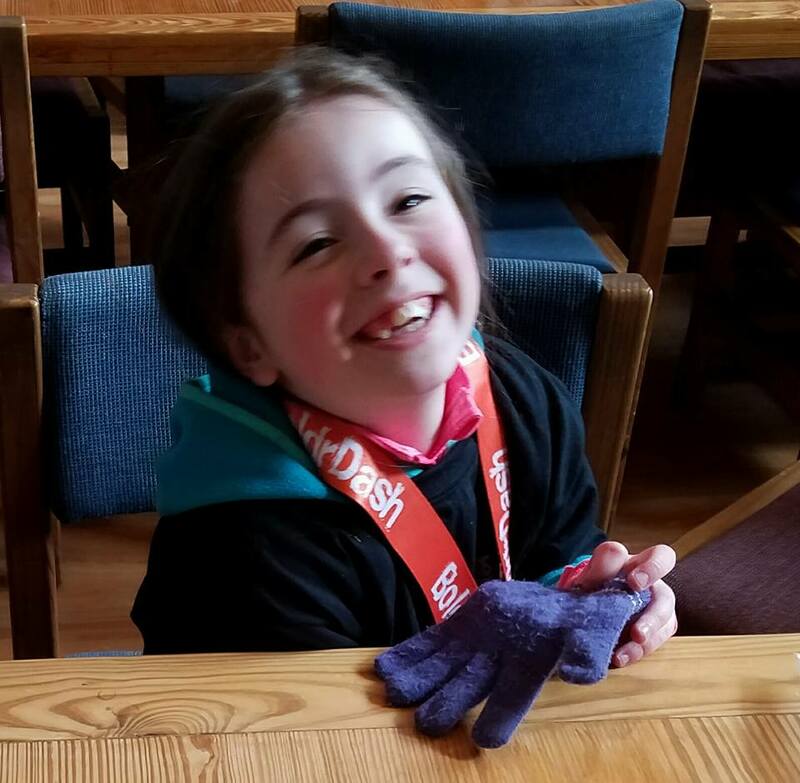 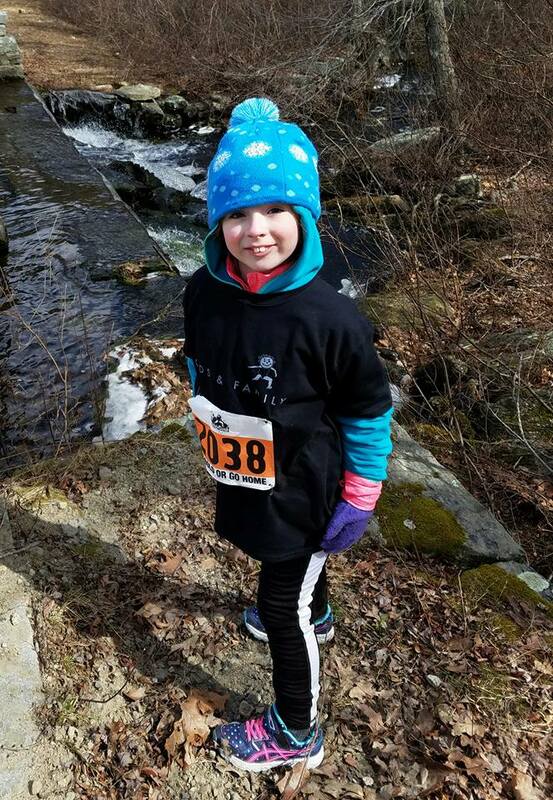 I did the BoldrDash WinterDash in 2016 by myself, and this year I decided to do the family race with my 8-year-old daughter. 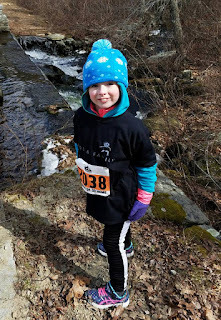 In the day or so leading up to the event, I wasn't "feeling it," but in the end I'm glad I went because it went fine and my daughter and I had fun. 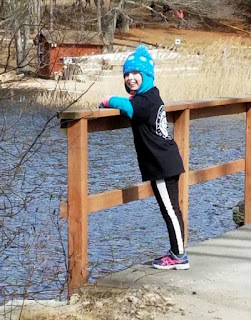 The weather was cold, but we had dressed for it and knew that we would warm up once we got moving. 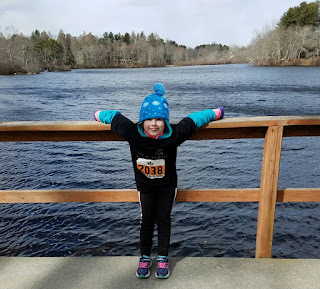 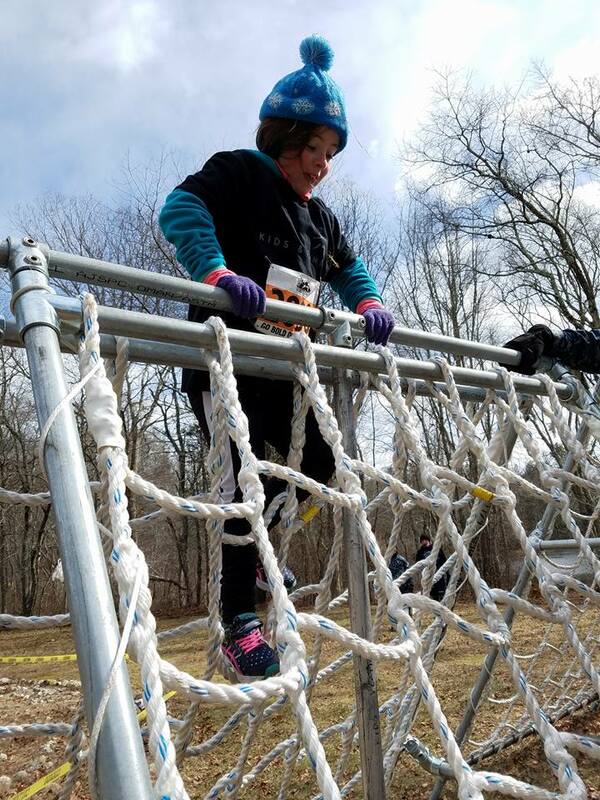 With each of these races my daughter, while still skipping many obstacles, is trying more and more of them, and it is good to see her confidence grow along with her physical skills. 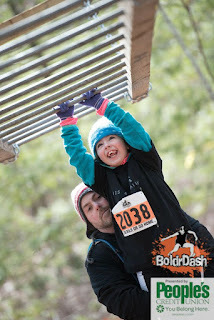 At times within the race we were just hiking in the woods, so it was more than just a race, it was some quality Daddy-daughter time. We also took the time for a photo-op at the bridge over part of the lake that makes up part of the course. Towards the end of the race we made it a competition between us, and we raced together through the last few obstacles. Afterwards, I wanted to get a picture of my daughter with her medal, but she suddenly became self-conscious so I had to sneak a picture to get anything at all.